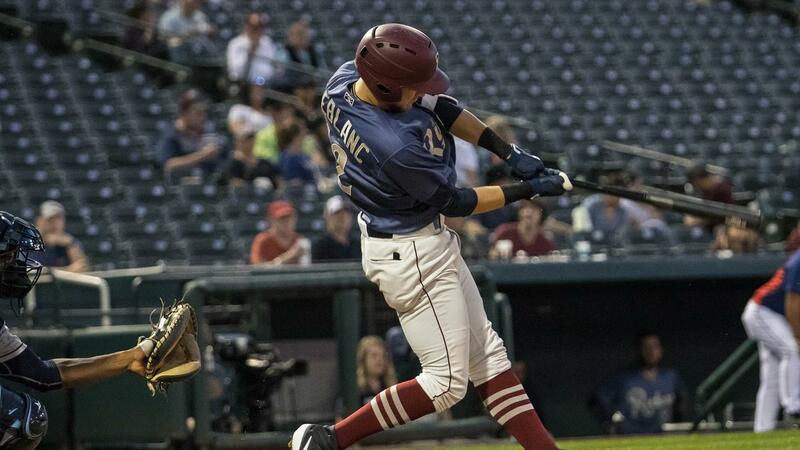 MIDLAND, Texas (April 14, 2019) - The Frisco RoughRiders saw their six-game winning streak snapped Sunday afternoon in a 4-1 loss to the Midland RockHounds. * Midland built an early 3-0 lead with runs in the second and third innings. * Charles Leblanc finished 3-for-4 in the defeat. * Alex Kowalczyk , making his Double-A debut, collected Frisco's lone RBI with a sacrifice fly in the seventh. * Leblanc has recorded multiple hits in six of the nine games he's started this season.